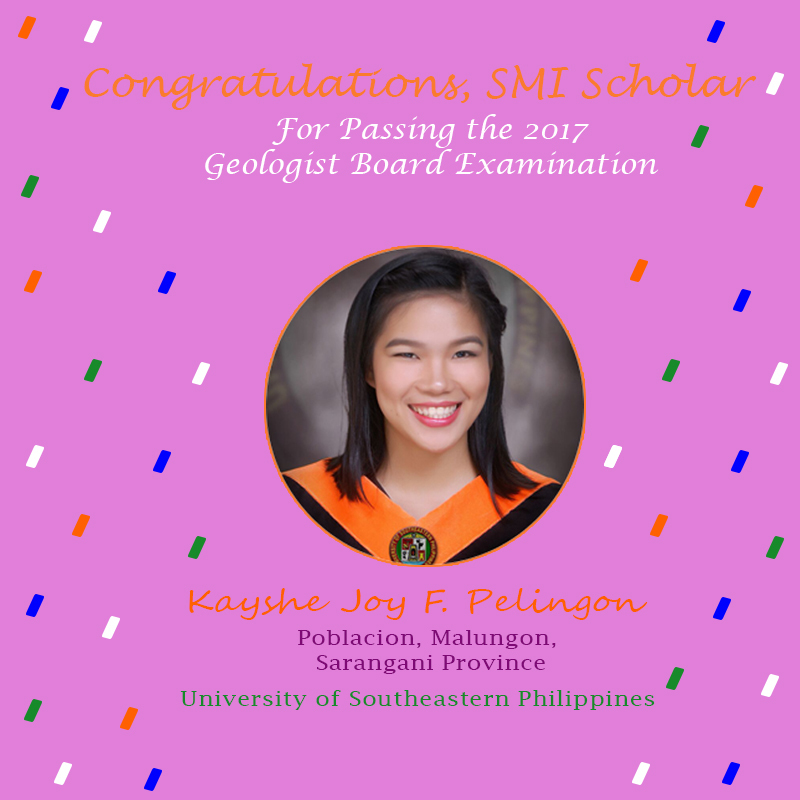 SMI scholar Kayshe Joy Pelingon from Malungon, Sarangani, successfully passed the Licensure Examination for Geologists that was administered by the Professional Regulations Commission in November 2017. According to the Board of Geology, only 183 out of 453 examinees passed the said examination. Kayshe is a 2017 graduate of BS Geology at the University of the Southeastern Philippines. In 2013, she qualified in the Samahan ng Matatalinong Indibidwal – Scholarship Program (SMI-SP), a college scholarship program for high school valedictorians from public high schools within Tampakan, Malungon, Columbio and Kiblawan. All SM-SP scholars enjoy full tuition and miscellaneous fees subsidy, plus monthly allowances, until the completion of their chosen courses. To date, more than 150 SMI-SP scholars have successfully completed college education and are now gainfully employed as professionals in various disciplines. SMI-SP is directly administered by Sagittarius Mines, Inc. In addition to this scholarship program, SMI continues to provide funding for education support, including technical and vocational training, to partner institutions as implementers. 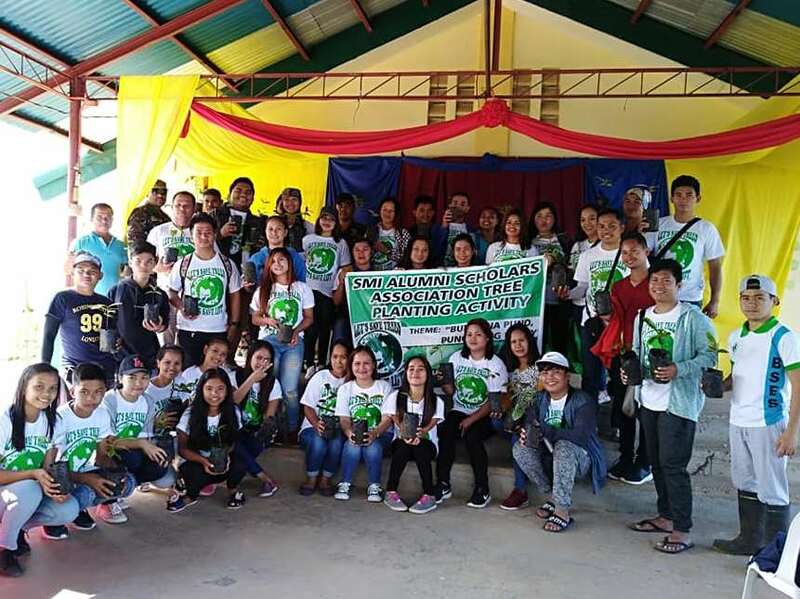 These include 10 tribal foundations and IP organizations, four (4) municipal local government units, and nine (9) barangay local government units, reaching over 2,000 students as recipients. Well done and congratulations, Kayshe! You make us proud!